Was born on July 21, 1909 in the village of Prykopa. In 1932 he graduated Uzhhorod Public School of Painting. In 1933 he graduated Uzhhorod Greek-Catholic Theological College. 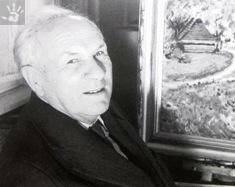 Honoured Artist of Ukraine (1975).